The Public Health England report. Vapers Independent Retailers Initiative – a place where independent specialist retailers can share information regarding support of each other and work towards forming an association. We urge our customers to visit the NNA website and support the work they do. Why is the NNA important? The NNA via its board and associate members have made significant contributions to advocacy for tobacco harm reduction (THR) or work in related fields. 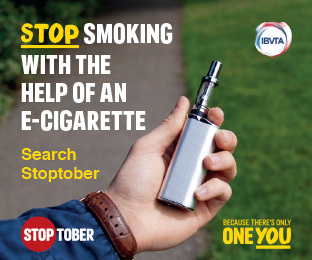 They support the aims and work of NNA which are to encourage a mature public and organisational understanding of the potential of safer nicotine products for reducing cigarette smoking, including their safety and efficacy; and to enhance public understanding of alternatives to smoking. Part of the work of the NNA is to seek an effective regulatory environment for nicotine delivery devices which protects the public (ie safety) but also ensures availability of effective devices. They engage with policy makers and regulatory bodies and comment on legislative and policy issues.